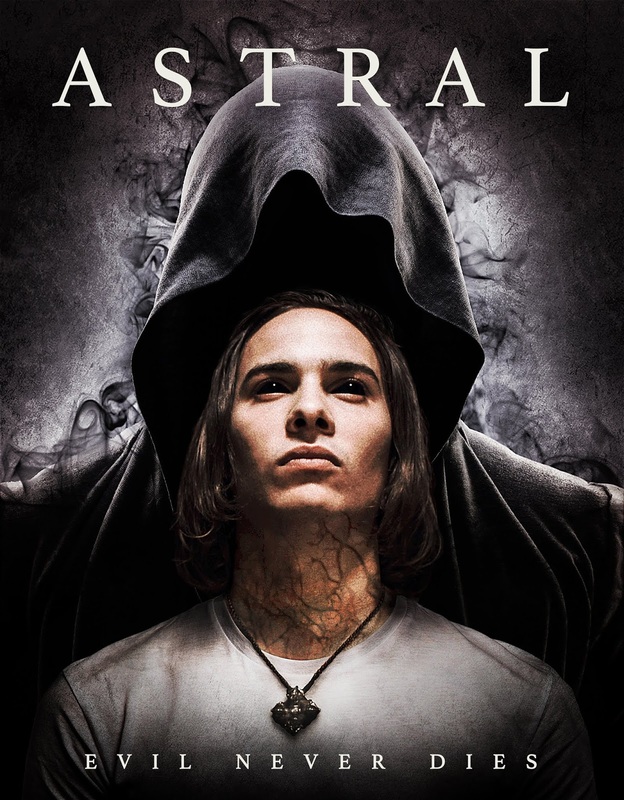 After it is mentioned in a class Alex becomes fascinated by the notion of astral projection. Attempting to project himself he finds this opens the door for dark forces Alex the same forces that may have played a role in the death of her mother years before. Despite a good pre-credits sequence Astral lost me soon after. What frustrated me with the film is that it seems to have gotten its information on Astral projection off a short cheat sheet as opposed even a whole book on the subject. Its noticeable since it is part of a lecture about the multi-dimensional nature of the universe. We have talk about perception of animals as opposed to humans and such and while it may not be as complex as you’d expect from a college course it is meaty. However once the talk of projection come up it becomes very basic, almost stupidly so. It’s as if the film intentionally dumbs itself down to make sure we understand what is going on. It’s annoying because odds are anyone drawn to the film is going to know more than they throw at us. The simplistic attitude the film sometimes adopts works against the film fully working. There are numerous sequences where people interact normally, with great exchanges of dialog that sort of go sideways when the film suddenly wants us to know something important. The simplicity works against the film from really generating suspense. The scare/ghost sequences are really good. They are carefully modulated sequences that aren’t really overt in there scare tactics so they get under our skin. The opener is really good and its conclusion left me groaning in a good way. Several of the other sequences gave me chills or at least some uneasy feelings. What kills me is the film looks good and the cast is great and it just doesn’t come together. This should be a great film but something keps it from reaching the heights. I know you’re wondering is the film worth seeing? If you are forgiving yea. There is enough good here that its worth a shot. I’m not going to swear you love it but you’ll probably like it which considering how many bad films there are, is enough.